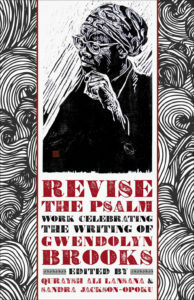 Honoring the work and legacy of the legendary Gwendolyn Brooks. 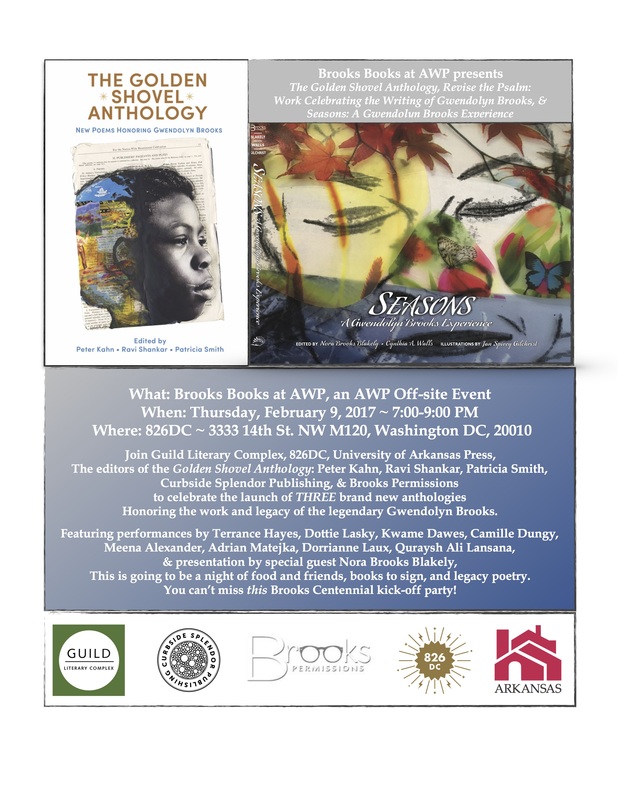 This is going to be a night of food and friends, books to sign, and legacy poetry. You can’t miss this Brooks Centennial kick-off party! 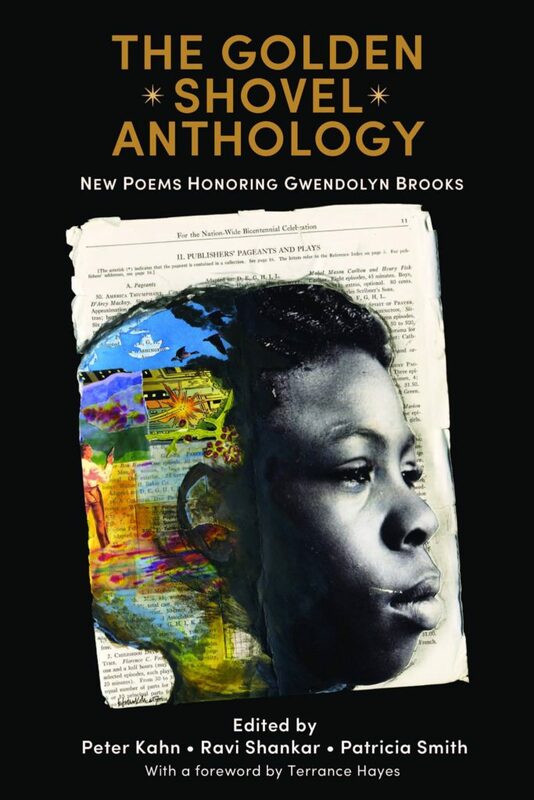 Seasons: A Gwendolyn Brooks Experience, is the long-awaited publication in honor of the 100th Anniversary of Brooks’s birth. “Seasons” is a unique look at Gwendolyn Brooks’ work which includes a collection of her work selected to represent the themes of each of the four seasons, as well as memories from family, friends, peers & mentees, featuring wonderful illustrations by Jan Spivey Gilchrist. 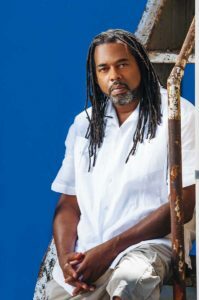 Quraysh Ali Lansana is author of eight poetry books, three textbooks, three children’s books, editor of eight anthologies, and coauthor of a book of pedagogy. He is a faculty member of the Writing Program of the School of the Art Institute of Chicago and a former faculty member of the Drama Division of The Juilliard School. Lansana served as Director of the Gwendolyn Brooks Center for Black Literature and Creative Writing at Chicago State University from 2002-2011, where he was also Associate Professor of English/Creative Writing until 2014. Our Difficult Sunlight: A Guide to Poetry, Literacy & Social Justice in Classroom & Community (with Georgia A. Popoff) was published in March 2011 by Teachers & Writers Collaborative and was a 2012 NAACP Image Award nominee. His most recent books include Revise the Psalm: Work Celebrating the Writings of Gwendolyn Brooks w/Sandra Jackson-Opoku (Curbside Splendor, 2017); A Gift from Greensboro (Penny Candy Books, 2016); A Gift from Greensboro (Penny Candy Books, 2016); The BreakBeat Poets: New American Poetry in the Age of Hip Hop w/Kevin Coval and Nate Marshall (Haymarket Books, 2015) and The Walmart Republic w/ Christopher Stewart (Mongrel Empire Press, 2014). Forthcoming titles include: The Whiskey of Our Discontent: Gwendolyn Brooks as Conscience & Change Agent, w/Georgia A. Popoff (Haymarket Books, 2017), and; Clara Luper: The Woman Who Rallied the Children w/Julie Dill (Oklahoma Hall of Fame Press, 2017). 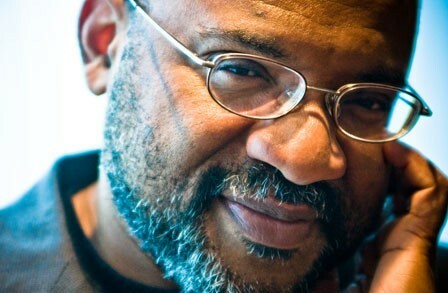 Born in Ghana in 1962, Kwame Dawes spent most of his childhood in Jamaica. As a poet, he is profoundly influenced by the rhythms and textures of the country, citing in a recent interview his “spiritual, intellectual, and emotional engagement with reggae music.” His book Bob Marley: Lyrical Genius (2007) remains the most authoritative study of the lyrics of Bob Marley. The author of over a dozen books, his most recent collections of poetry include Wisteria: Poems From the Swamp Country (2006), Impossible Flying (2006), Back of Mount Peace (2009), Hope’s Hospice (2009), Wheels (2011), Duppy Conqueror: New and Selected Poems (2013), and City of Bones (2016), among many others. Dawes’s novels include She’s Gone (2007), and Bivouac (2010), and his non-fiction collections include A Far Cry From Plymouth Rock: A Personal Narrative (2007) and Fugue and Other Writings (2012). His work has been included in anthologies including So Much Things to Say (2010) and many others. His awards include an Emmy and Webby for LiveHopeLove, an interactive website based on the Kwame Dawes Pulitzer Prize Center project HOPE: Living and Loving with AIDS in Jamaica. Dawes’s work reporting on the HIV AIDS in Haiti after the earthquake formed a key component of reporting done by the Pulitzer Center on Crisis Reporting that won the National Press Club Joan Friedenberg Award for Online Journalism and was released as the i-book Voices of Haiti (2012). Dawes’s other honors and award include the Forward Prize for Poetry for his first book Progeny of Air (1994); the Hollis Summers Prize for Poetry; a Pushcart Prize; the Hurston/Wright Legacy Award; the Poets and Writers Barnes and Noble Writers for Writers Award; and a Guggenheim Foundation fellowship. In 2004 he received the Musgrave Silver Medal for contribution to the Arts in Jamaica and in 2008 the Elizabeth O’Neill Verner Governor’s Award for service to the arts in South Carolina. In 2009 he was inducted into the South Carolina Academy of Authors. Dawes is currently the Glenna Luschei Editor of Prairie Schooner and Chancellor’s Professor of English at the University of Nebraska. The co-founder and programming directory of the Calabash International Literary Fesitval, he also teaches in the Pacific MFA Writing Program and is on the faculty of Cave Canem. Poet and editor Camille T. Dungy was born in Denver but moved often as her father, an academic physician, taught at many different medical schools across the country. She earned a BA from Stanford University and an MFA from the University of North Carolina, Greensboro. Addressing the paucity of African American poets in anthologies of nature poetry, Dungy stated in a 2010 interview for the Oakland Tribune, “I miss seeing writers of color in the conversation. Until we have greater variety in the conversation, it is not a conversation—it is a monologue.” To that end, Dungy edited Black Nature: Four Centuries of African American Nature Poetry (2009), which won a Northern California Book Award and was nominated for an NAACP Image Award. 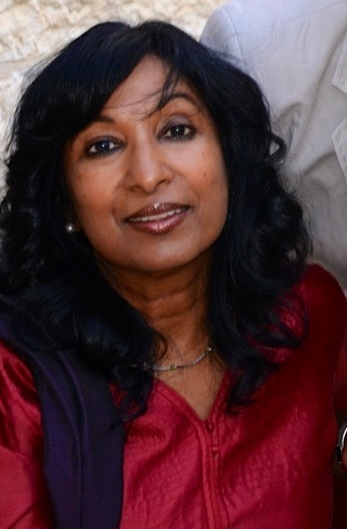 She was also co-editor of From the Fishouse: An Anthology of Poems that Sing, Rhyme, Resound, Syncopate, Alliterate, and Just Plain Sound Great (2009), and assistant editor for Gathering Ground: A Reader Celebrating Cave Canem’s First Decade (2006). Dungy has won the Dana Award and the Sustainable Arts Foundation Promise Award, and was a finalist for the NAACP Image Award in 2010 and 2011. Dungy has also received fellowships and awards from the National Endowment for the Arts, the American Antiquarian Society, the Virginia Commission for the Arts, Cave Canem, the Bread Loaf Writers’ Conference, the Djerrasi Resident Artist Program, Yaddo, Virginia Center for Creative Arts, and the Norton Island Artist Residency Program. Recently a professor in the creative writing program at San Francisco State University, Dungy is currently a professor in the English department at Colorado State University. She lives in Colorado with her husband and daughter. 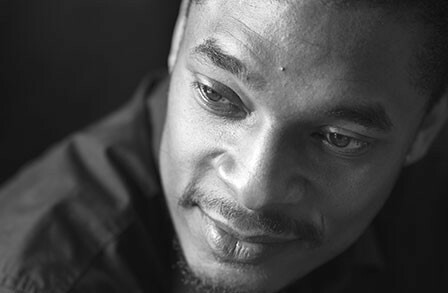 Hayes’s poetry collections include How to Be Drawn (2015), finalist for the National Book Award and the National Books Critics Circle Award; Lighthead (2010), which won the National Book Award, was a finalist for a National Book Critics Circle Award, and was nominated for a Hurston/Wright Legacy Award; Wind in a Box (2006); Hip Logic(2002), chosen for the National Poetry Series and also a finalist for an LA Times Book Award and an Academy of American Poets James Laughlin Award; and Muscular Music(1999), which won a Kate Tufts Discovery Award. His poems have also been featured in several editions of Best American Poetry and have won multiple Pushcart Prizes. 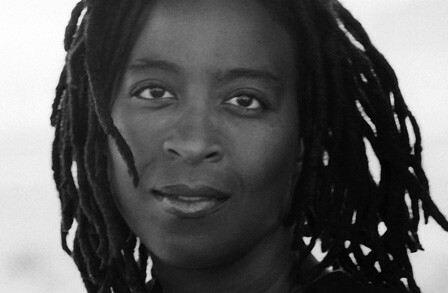 Hayes’s additional honors include a Whiting Writers’ Award and fellowships from the MacArthur Foundation, the National Endowment for the Arts, and the Guggenheim Foundation. He has taught at Carnegie Mellon University, the University of Alabama, and the University of Pittsburgh. Hayes lives in Pittsburgh. Dorothea Lasky was born and raised in St. Louis, Missouri. She earned a BA at Washington University and an MFA at the University of Massachusetts Amherst. She has published three collections of poetry, AWE (2007), and Black Life(2010), and Thunderbird (2012), as well as several chapbooks, including the polemical Poetry Is Not a Project (2010). Her poems have appeared in a number of prominent publications, including the New Yorker, Paris Review, and American Poetry Review. Known for her colloquial, even slangy style and dramatic readings, Lasky acknowledges that “there is a kind of arrogance, a kind of supreme power, that when infused with a little real humility and expertise, makes a poem. Because the poem is always about the speaker.” Lasky was awarded a Bagley Wright Fellowship in 2013, and she is an assistant professor of poetry at Columbia University. 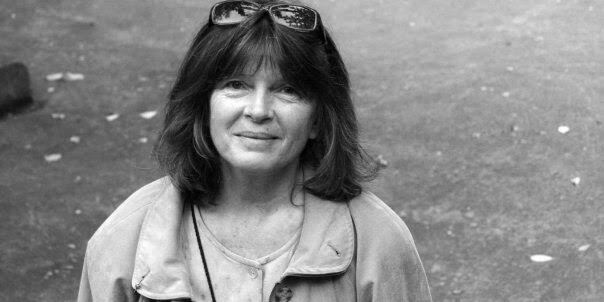 Dorianne Laux’s most recent collections are The Book of Men, winner of the Paterson Poetry Prize and Facts about the Moon, winner of the Oregon Book Award. Laux is also author of Awake, What We Carry, and Smoke from BOA Editions. 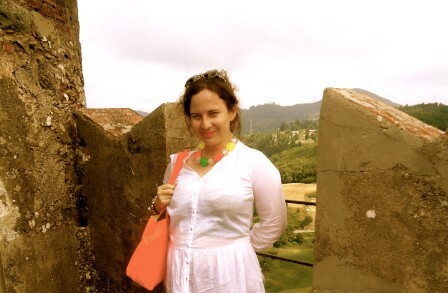 She teaches poetry in the MFA Program at North Carolina State University and is founding faculty at Pacific University’s Low Residency MFA Program. 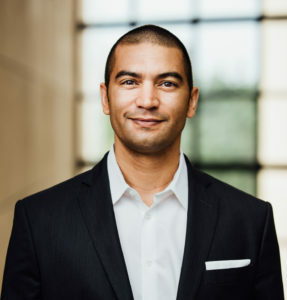 Adrian Matejka is the author of The Big Smoke (Penguin, 2013) which was a winner of the Anisfield-Wolf Book Award and finalist for the National Book Award and the Pulitzer Prize. His other books are Mixology (Penguin, 2009) and The Devil’s Garden (Alice James Books, 2003). Among his honors are the Guggenheim Fellowship, the Lannan Literary Fellowship, and a Simon Fellowship from United States Artists. His new book, Map to the Stars, is forthcoming from Penguin in March 2017. You can find us on FaceBook at https://www.facebook.com/GuildLiteraryComplex.